Queen. Roll slats. Nice subtle curve. Falster Queen Platform Bed W/ Floating Night Stand 1960'S. Bonus - Knoll Chair! Are platform beds an European thing? I helped Scott pick out a new bed and it has a platform. They are definitely more common in Scandinavia than here in the States. But I don’t know what’s customary in other European countries. I’m sorry, Rachel, I don’t. 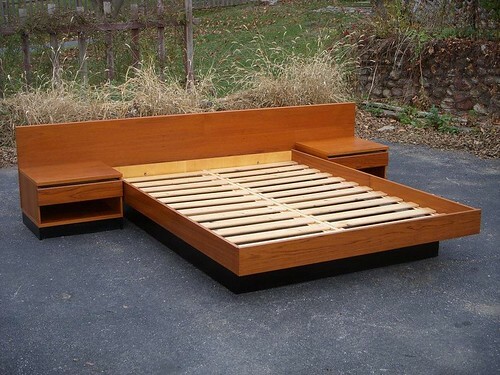 I recommend running some eBay searches for Danish modern platform beds. We bought an Italian platform bed through a design studio. They import for you and get get anything from anywhere. Always get multiple quotes as each place has their own markup. We found one guy that would give us 30% off and always was cheaper than anyone in town. For example, we got a chair from Brazil that he charged us $1,000 for and another place in town wanted $1700. SAME chair. The high markup places are usually the ones that won’t put the maker on the furniture price tag. They’ll say obnoxious and evasive stuff when you ask who makes it like “it comes from brazil” and “it’s not a specific designer”. That way you can’t comparison shop. That to me is a red flag that their prices are really marked up. So buyer beware! Also, keep in mind the exchange rate right now if you want to import. If you’re not in a major metro area, you can probably find it on the web — i.e. 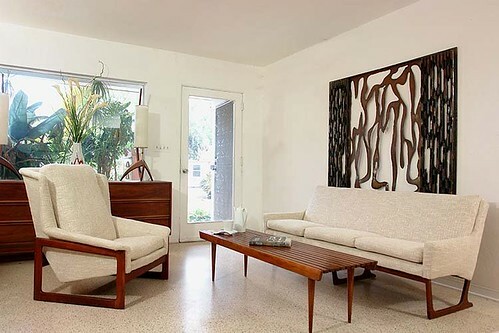 http://www.dwr.com. That’s not a good example though because I think their prices are too high. But you get the idea. If you are on a budget, IKEA.com has platform beds and the ship throughout the US. It’s not a European thing, but a Scandinavian style. Beds with slats are commonly used unlike here, where we use boxes.Dawn, which design studio did you use, if you don’t mind my asking? Andrea – where is “here”? How do platform beds compare in comfort to mattress-boxsprings? I’m getting ready to purchase furniture for a guesthouse and I want my guests to be comfortable! Thanks! Is it solid wood or plywood? I’m sorry I don’t know, Lavindo. This was an eBay auction from over a year ago and I was not the seller. I only know what you see above. We have this original bed… we may be willing to part with it. Could my bed be from the same designer? It has a lot of the same characteristics..